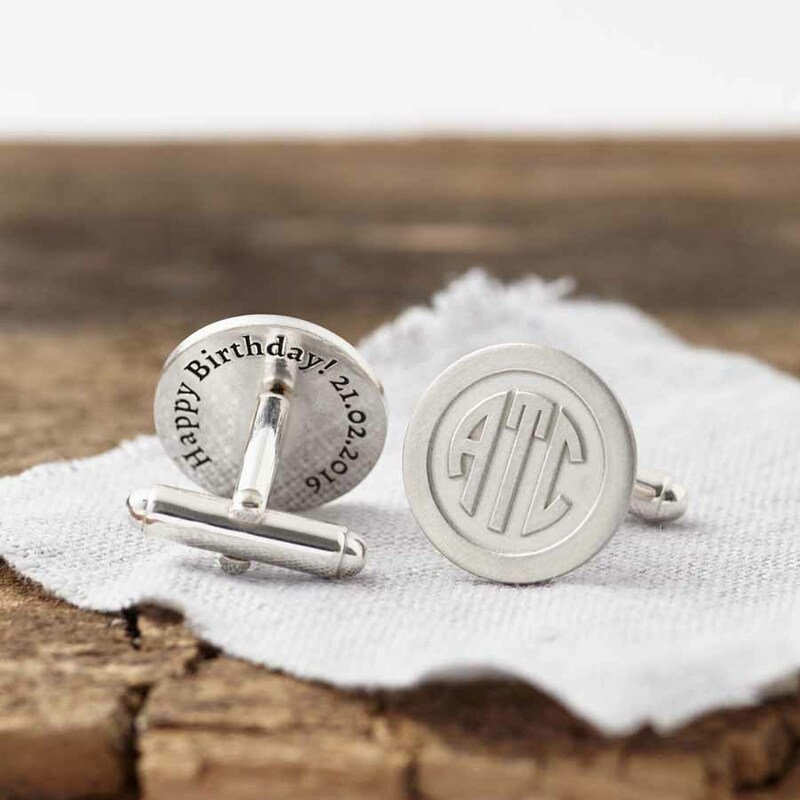 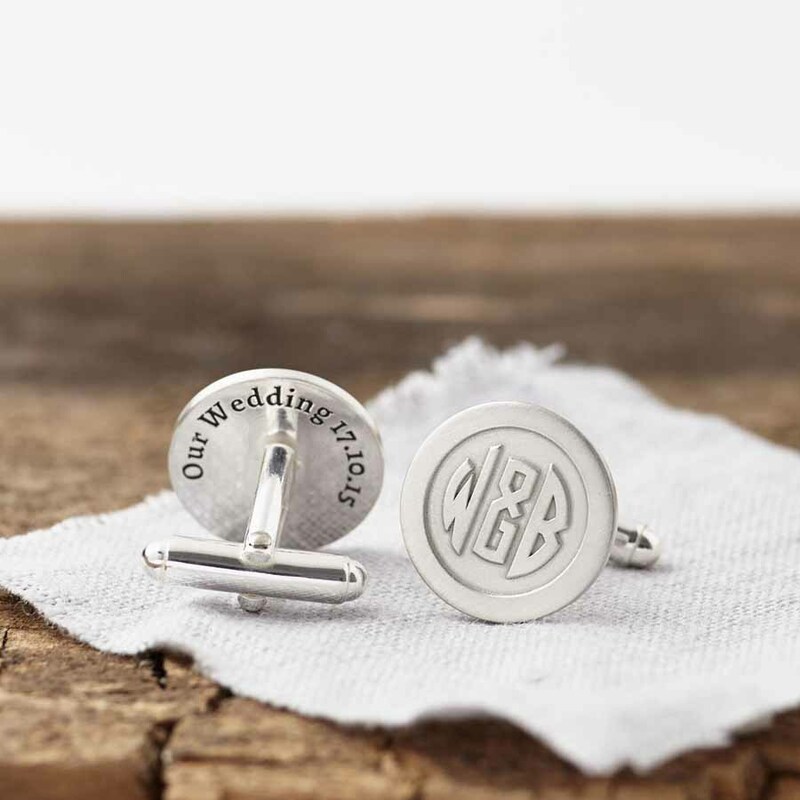 Hand made to order in our studio, we etch these stunning solid silver round cufflinks with a Deco style monogram using your initials. 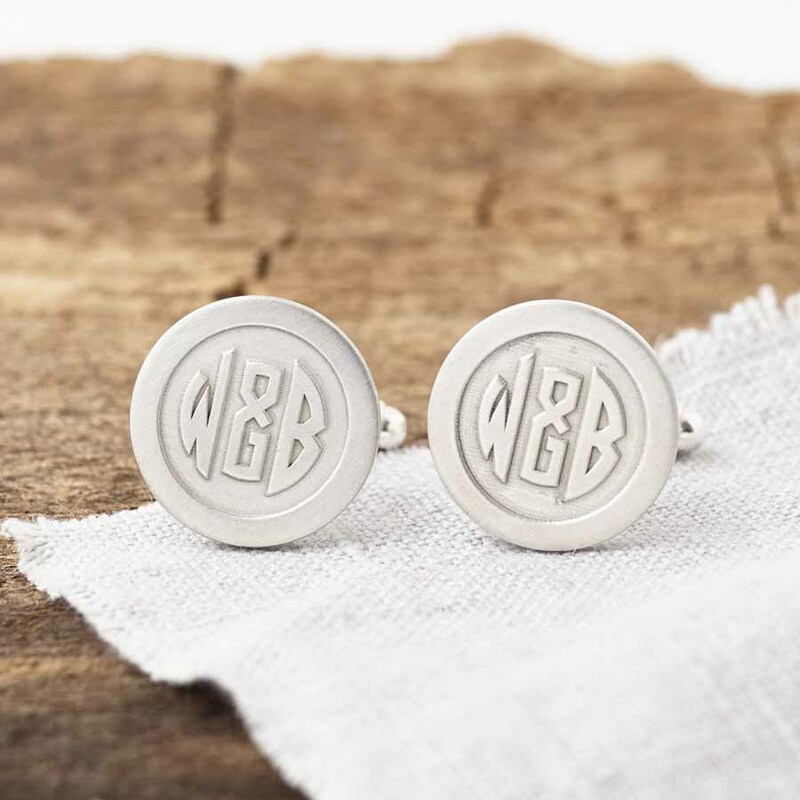 We can create the monogram using two or three intials or two initials and an ampersand “&”. 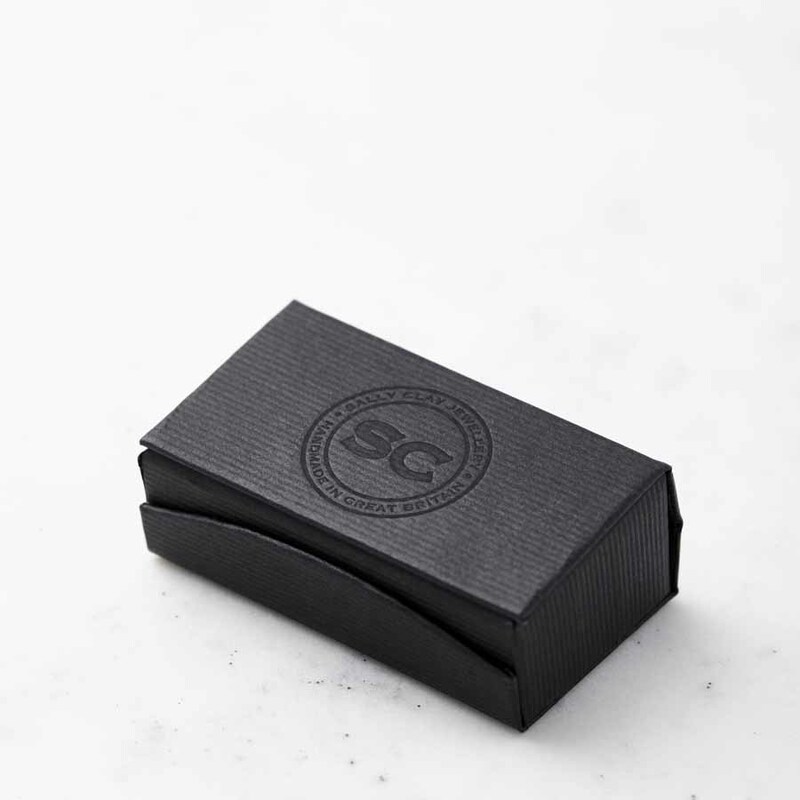 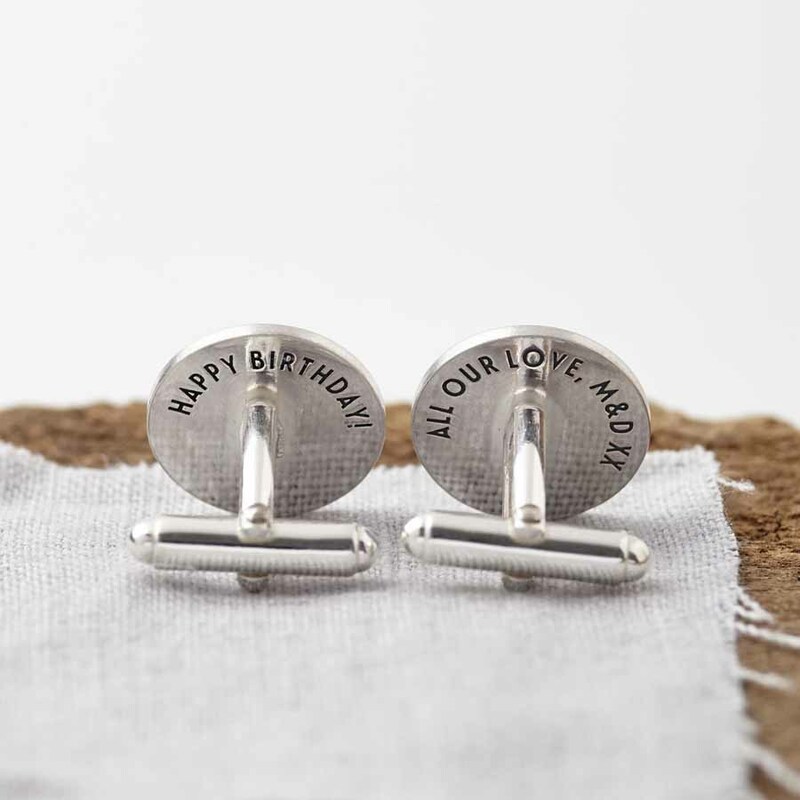 Perfect as a Birthday, Anniversary, Christening gift, or as a gift for your groom on your wedding day. 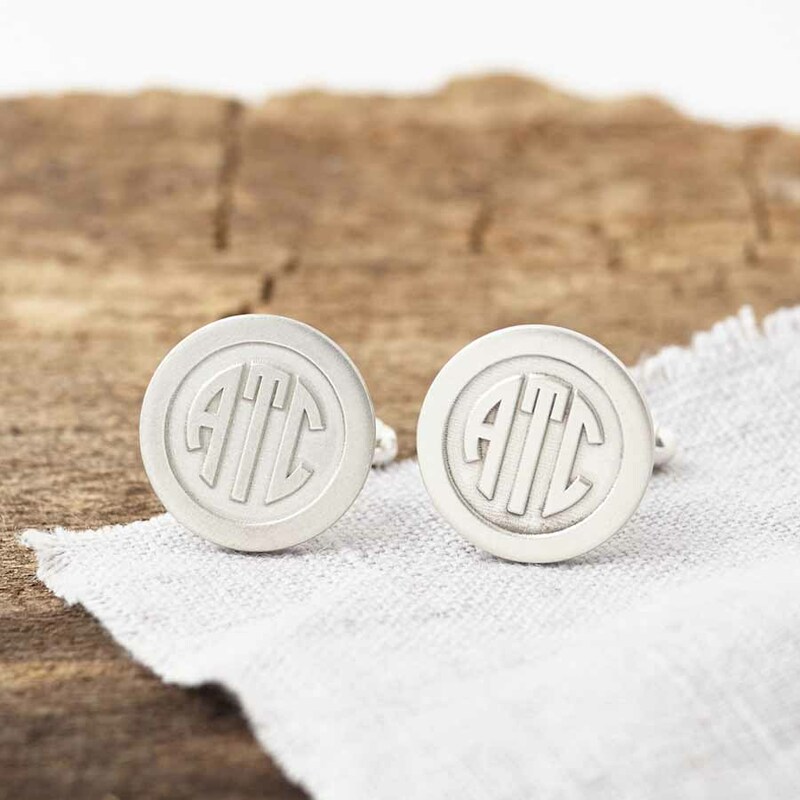 Fronts approx 1.8cm diameter, 1.5mm thick.